Today's guest devotional post comes from Jennifer Slattery, a freelance writer who lives in the Midwest with her husband of sixteen years and their thirteen year old daughter. Last year, during a Wednesday night prayer service, I heard sniffling behind me. I turned to find a woman crying, and soon asked her why. Turns out, her son was in his senior year and she desperately wanted a do-over. Between the hustle and bustle of life, she’d let “family time” slip, and nearly lost her son in the process. We prayed, and hugged, and cried together, and she left, determined to start fresh—to do whatever it took to win her son’s heart back. About six months later, she came again, and sat in the pew behind us. After service, I asked her how she was doing, and more importantly, how were things with her son. She beamed, a smile spreading across her face, and launched into a story of sit-down dinners, one-on-one time with her son, and clearly defined boundaries. She'd received her do-over. Clearly she couldn't go back and undo the previous seventeen years, but by determining to start fresh, at that moment, she salvaged what was left of her son's last year at home and paved the way for years to come. Lately, I've spent a lot of time in the book of Ezra in the Bible. Ezra and the Israelites returned to Jerusalem after seventy years of exile. This wasn't an easy trip, and many stayed in Babylon. The journey to Jerusalem was costly, long, and dangerous, lasting for months. The people they encountered along the way were hostile, then when they got to Jerusalem, the city was in ruins and many of the people had intermarried with pagans. And yet, despite the arduous journey, the difficult task, and the discouraging circumstances, God called them to persevere, and begin anew. They were to rebuild the temple. So the rest was easy, right? God called, God provided, and everything else just fell into place? Hardly. They experienced opposition and became discouraged. In modern terms, we'd say they hit one closed door after another. Does opposition mean a closed door? Will change always come easily? Like the story of the mother I shared with you, the Israelites were given a chance to start anew, but it wouldn't be easy. Not only did they face outer opposition, but I'm certain their hearts rebelled at every turn. Fear, anger, bitterness, discouragement churning into a faith-sapping mess. Opposition became so great, the building ceased for an entire year. Can you imagine what this must have felt like? They'd been freed from exile, likely resulting in a mountain top experience, only to be beat down on a long, treacherous journey. Then, when they were about at their end, exhausted and discouraged, they found their land filled with pagans. But wait, God showed up, and that tiny glimmer of hope that had kindled upon their release fanned into flame...only to be extinguished again. How many more trials could they face? At what point could they wash their hands in defeat? Change never comes easy, and for me, it's a constant battle, one that requires diligence, prayer, and a steady dose of accountability. But regardless the opposition, regardless how difficult the journey, God calls us to keep on keeping on. And the beauty of the gospel is that each day, we have been given the opportunity to begin again. You didn't like how you treated your husband the day before? So start fresh today. Have years of arguing and eye-rolling caused a drift between you and your teen? So begin anew. It is never too late to make an about face. All things are possible with God, and as I draw near to Him and meditate on His holy Word, He will mold me into the woman He wants me to be, day by day, mistake by mistake. It won't be a perfect journey. I'll likely fall enough times to become permanently bruised, but I know I'll never fall farther than His hand. And each time He catches me, I'll learn something new about His love and grace. And each time I persevere, I'll learn something new about myself. 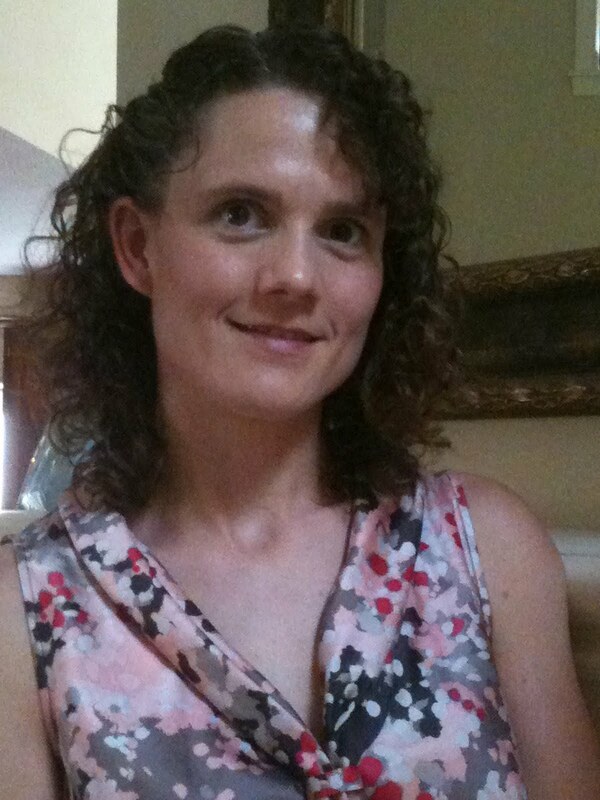 Jennifer Slattery writes for Christ to the World, the Christian Pulse, and Samie Sisters. She’s the marketing manager for the literary website, Clash of the Titles, and works for Tiffany Colter the Writing Career Coach doing critiques and marketing. She’s written for numerous publications, websites, and E-zines and has placed in numerous contests. Visit her devotional blog, Jennifer Slattery Lives Out Loud to find out more about her and her writing.